It has been a while since I've updated about our family reading through the Bible together. We are still reading! 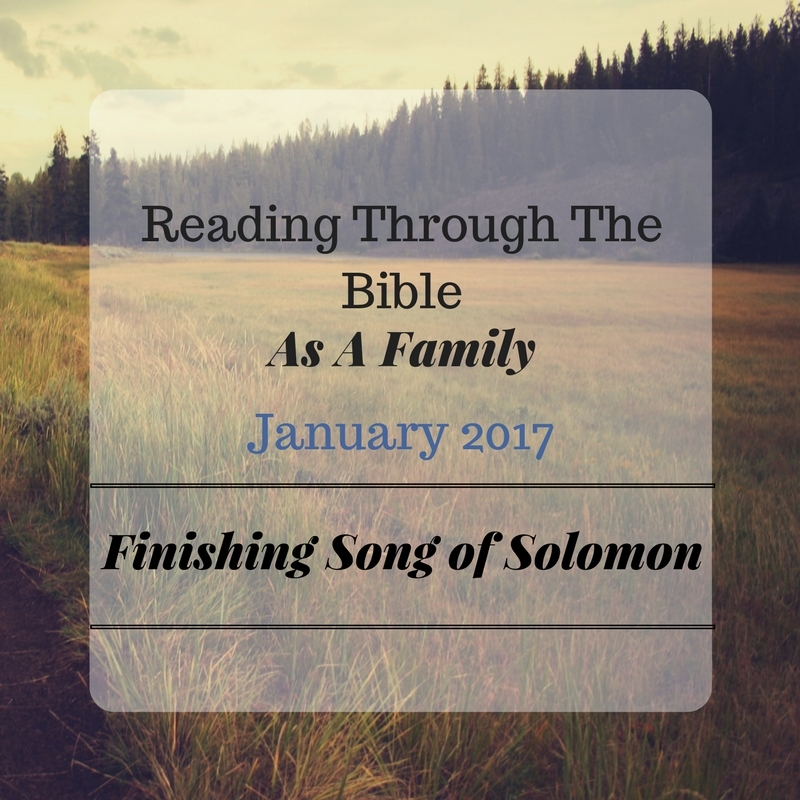 Tonight we just finished up the book of Song of Solomon. I have thoroughly enjoyed this time of reading God's Word together. I enjoy the family time with the discussion. Hearing my children seek understanding of His Word is really exciting for a parent! We have been following a chronological reading plan, so some of our reading has been back and forth, such as readings in Psalms. My husband has enjoyed the readings in Psalms more so than me. I have enjoyed our time in Kings and Chronicles. I think my kids get a kick out of hearing me try to pronounce all the names. But looking back, it is amazing to me to see how far we have come since March! I'm not sure when we will finish, but we are pressing on in 2017! and we are almost finished with Psalms! Have you considered reading through the Bible as a Family? Have questions or comments? Feel free to post them below.